Functional sports shield sunglasses for everyday urban wear. A perfect blend of a decidedly sporty front and slim cylindrical temples complemented by exclusive anti-loose hinges bearing the Moncler logo. 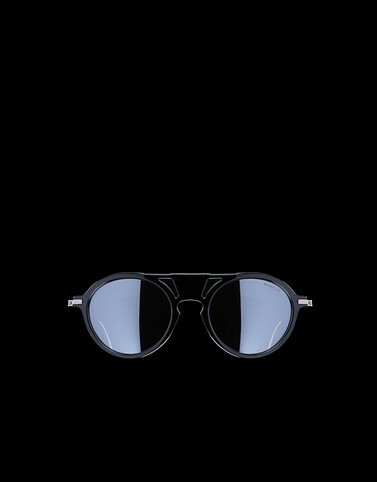 The single lens is framed by injection-molded profiles so as to create an openwork, with a fine interplay of empty and full spaces externally adorning the front. The front’s structure lends an ergonomic design to the nose pads, for added comfort. Lens size: 140mm - 5,12"
Temple length: 135mm - 5,31"